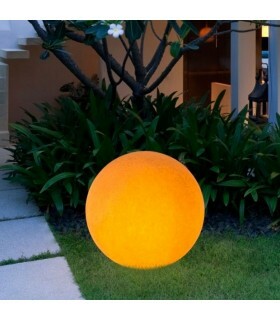 Polyethylene sphere translucent wood color Suitable for indoor and outdoor - IP-65 Stir in 1 e-27 socket compatible with halogen bulbs, LED and low power consumption Available in four sizes: Ø 28cm Ø 38cm Ø 55cm Ø 75cm His tone helps add warmth to spaces in a unique way. Base white polyethylene Bulb not included Delivery 2 Weeks. 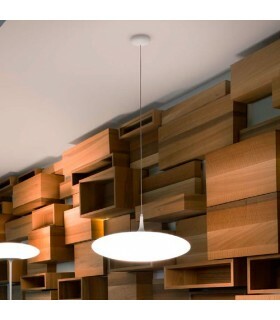 LED pendant lamp with polyethylene diffuser ovoid. 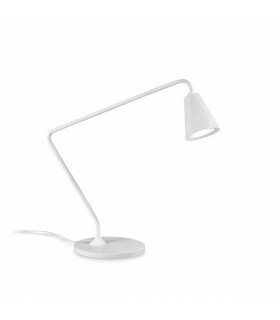 Its organic shape and so white allow you to integrate into almost all types of spaces bringing a modern touch. Dimensions: 25xØ50cm Suspension max: 1.6m <./ P> Integrated LED: 1949lm 19w. Tone: warm white 3000k 230v direct connection. Squash also available LED ceiling and floor lamp. Delivery 2 weeks. Led table lamp. Rugged aluminum body lacquered in white or gray finish. Its pivoting head can be rotated 50 ° and 360 ° Dimensions: 27x33cm It has a LED chip 2w 3000k, 140lm. 230v direct connection. Delivery 2 weeks.